Welcome to Best Western Southwest Inn, your ideal hotel with a pool in Deming, NM. Staying at our pet-friendly hotel ensures you a relaxing environment with admirable amenities to simplify your travels. Guests looking for a fast and seamless arrival can utilize our express check-in and check-out options. Open 24/7, our front desk is available to guests arriving early in the morning or late in the evening. 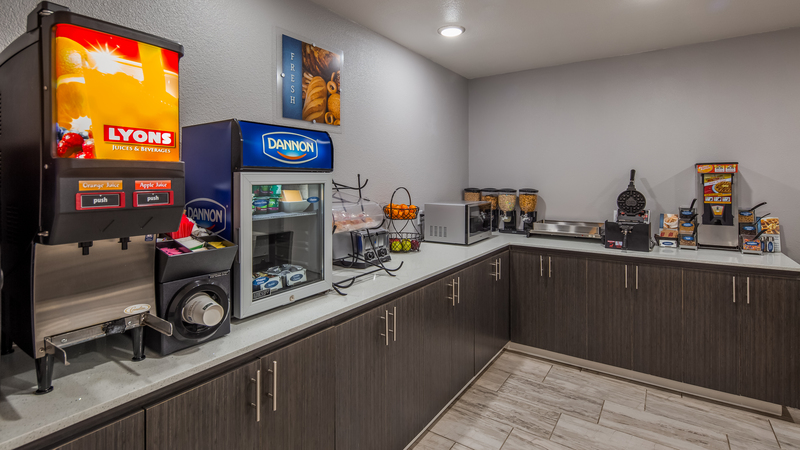 Whether you’re planning to stay just for the night or for an extended period of time, Best Western Deming Southwest Inn offers thoughtful amenities that will make you feel right at home. As the main stopping point for truckers passing through the city, our hotel offers the biggest free parking lot in Deming. With about 4 acres of land and a vast parking space, our back parking lot can fit up to 30 trucks. Free parking is also available to all of our additional business and leisurely guests driving in! Parking is located just outside our lower ground rooms, allowing for easy access to your vehicle when needed. Need to refresh your clothes? Our hotel with a pool in Deming, NM also features on-site coin laundry machines. In a rush and looking for some quick grab and go food options? Our on-site vending machine includes a variety of chips, chocolates, snacks, and sodas. Looking for a place to unwind after a long day? Then our outdoor garden is your oasis to rejuvenate. With our guests always in mind, we strive to provide exceptional customer service and create an atmosphere of ease, comfortability, and convenience for each and every one of our guests. 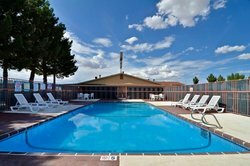 We look forward to you joining us soon at our hotel with a pool in Deming, NM! Join us daily from 6am-9am for a complimentary hot breakfast, which features eggs, sausages, bacon, potatoes (hash brown or shredded potatoes), and a make-your-own omelet bar! Upon check-in, make sure to ask for your make-your-own omelet coupon. After a long day of work, traveling, or sightseeing cool off by taking a dip at our hotel with a pool in Deming, NM. Stay connected to work or home with our on-site business center. 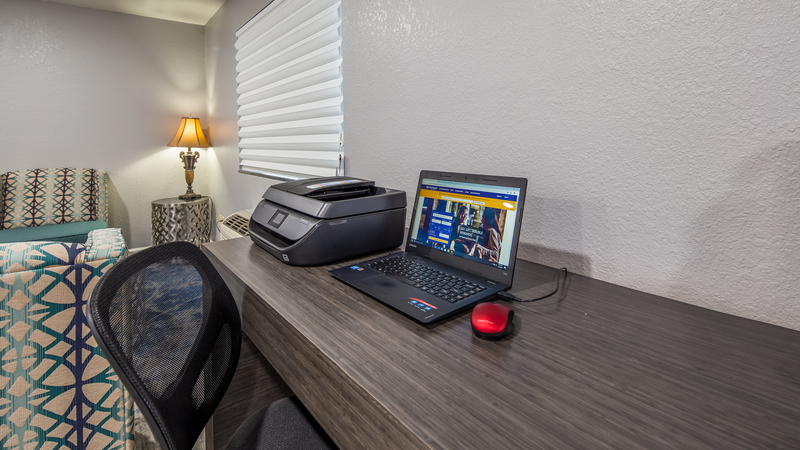 Fully equipped with a computer, printer, scanner, and copier, guests can prepare for meetings and connect with friends and family.